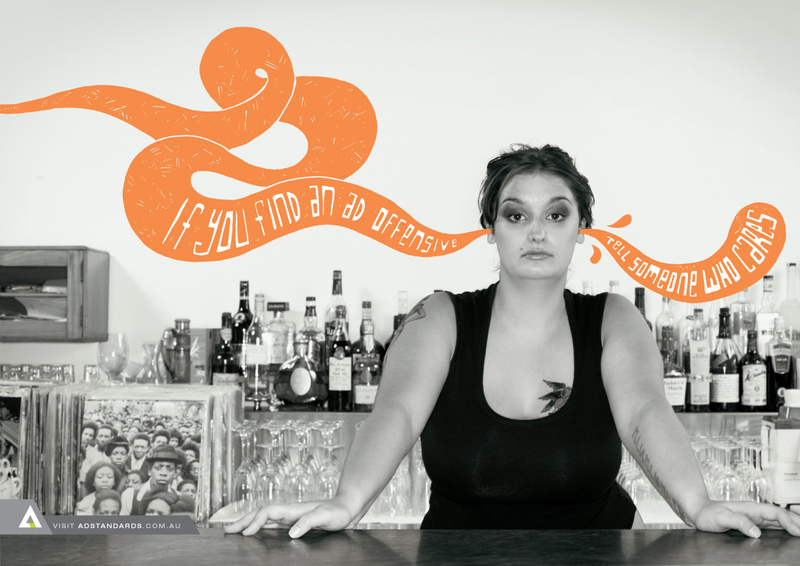 The Advertising Standards Bureau in Australia is building a broader awareness of their services through a TV, print and radio campaign featuring the tagline, “Tell Someone Who Cares”. 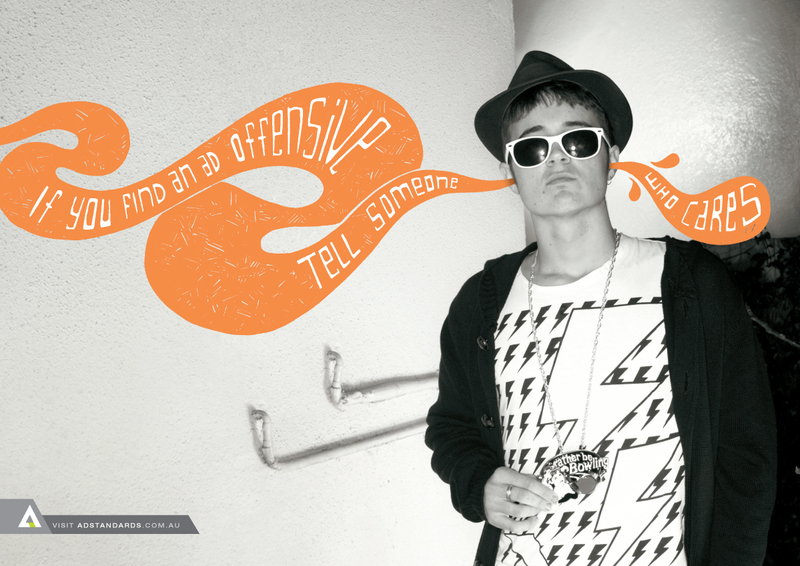 “If you find an ad offensive, tell someone who cares.” Forget the cab driver, bar tender and teenager. It will just go in one ear and out the other. 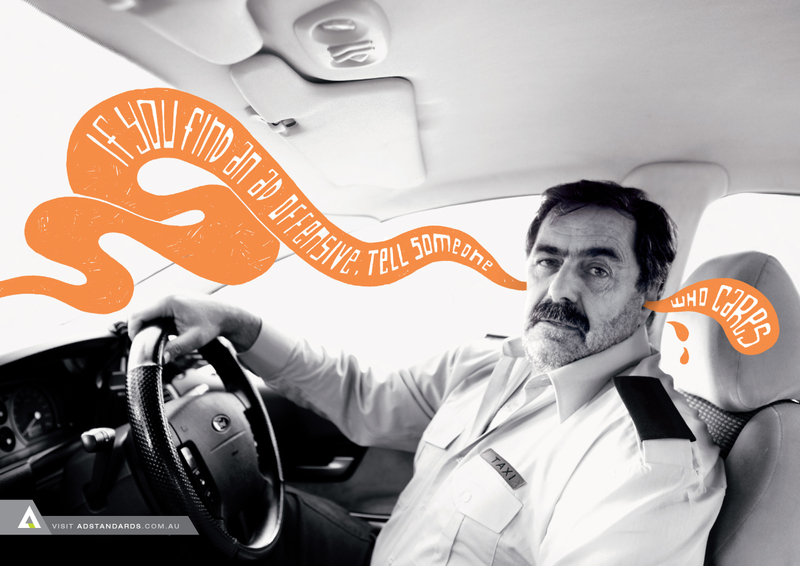 The Tell Someone Who Cares camapign was developed at George Patterson Y&R, Melbourne, by creative director Ben Coulson, copywriter Vanilla Stener, art director/illustrator Paul Meates , agency producer Lisa Moro and photographer Ross Clugston. Filming was shot by director Matt Kamen via The Guild of Commercial Filmmakers.